Hi all. I’m working on some longer form pieces for various Christmas-related things, and I don’t want to reprint them here, so I find myself unable to write a standard post this morning. Instead I’d like to talk about guitar solos in series of looser posts over the next few days. I hope you’ll indulge me! I’ve been playing guitar since 1995. I’ve got a bag of tricks that’s reasonably broad and eclectic. But I can’t play really fast and my string-bending technique isn’t what I’d like it to be, so to my way of thinking, I’m not a real lead guitarist – I’m a good rhythm player who can give you the odd solo. I’d love to be a proper lead guitarist, to have David Gilmour’s compound-bending ability, to be able to summon up Hendrix-like pyrotechnics, to have the imagination of Tom Morello, the lyricism of Robbie Robertson, to be able to play slide like Lowell George or Bonnie Raitt. It’d be awesome. I can’t do that stuff, but I spend a lot of time listening to great players, great soloists. Let’s talk about some of them. I’ve resisted any overly obvious choices, or any excessive fret-wankery, so they’ll be no Clapton (if I have to explain why, you’re reading the wrong blog), no Joe Bonamassa, no Satriani, no Vai, and – of course – no Yngwie Malmsteen. Nite Flights marked Scott Walker’s return to adventurous music-making after an alcohol-sodden mid-seventies lull. He made some great records during this period, but seemingly only by accident, through his undiminished voice and a still-functioning ear for a good cover. But as a songwriter, he was becalmed. His four songs on Nite Flights (the last Walker Brothers album), then, marked his return not just as a maker of vital music but as a writer of vital music. The Electrician is the song most predictive of his latter work, but Shutout is the ear-grabbing album opener, the statement of intent. Other than The Electrician, about which a whole volume could be written, Scott’s songs on Nite Flights are built on the ubiquitous late-seventies disco beat, but this is avant-garde disco, post-apocalytpic disco. How else are we supposed to take the gnomic lyrics, of which few lines make much immediate literal sense (these lines include ‘Something attacked the earth late last night’ and ‘There were faces bobbing in the heat)? Les Davidson was the guitarist given the job of playing the song’s solo. Having to make your guitar sound like Bad Things Are Happening is always a fun challenge, and Davidson takes an ear-grabbing approach. Rather than go for sheets of noise and texture (perhaps he would have done if it had been made just a year later), he instead goes for face-melting speed. He’s present at the start of the song, playing a howling, string-bending lick in the intro, with its piercing feedback-laden sustain, but it’s at 1.03 that he really makes his presence felt, with a solo so unexpected that you’re left stunned at the inappropriateness of it all. Within a few years, every single note of Davidson’s 27-second solo would be a cliche – every idea, every phrase, every legato run pounded into the dirt by overuse. But in 1978, high-gain, high-speed soloing was still novel (Nite Flights was recorded the same month that the first Van Halen record was released), and in the context of this sort of record, vanishingly rare. 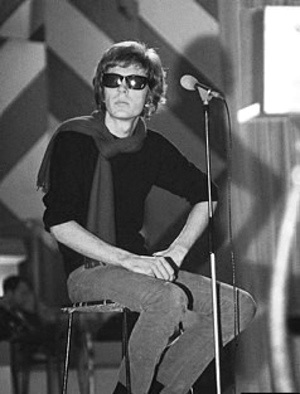 Obviously enjoying it, the producers (Scott Walker and Dave McRae, though I suspect that Scott took the lead when producing his own songs) push the solo proudly to the front of the mix, almost as a provocation. 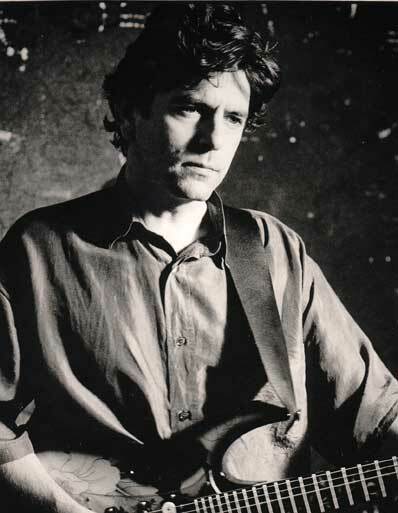 Davidson went on to a stint in Sniff ‘n’ the Tears and has played guitar with Joan Armatrading, Donovan, Mick Taylor, Paul Rogers, Pete Townshend, Rumer and Laura Mvula. It’s this solo, though, that will be his epitaph. This entry was posted in Music and tagged Dave McRae, Donovan, guitar solo Les Davidson, Joan Armatrading, Laura Mvula, Mick Taylor, Nite Flights, Paul Rogers, Pete Townshend, Rumer, Scott Walker, Shutout, Sniff 'n' the Tears, The Electrician, Walker Brothers on December 15, 2013 by rossjpalmer.